Long Division....let's start with the math basics. Ironically, I struggled in math as an elementary school student. It wasn't until I was a teacher that I actually understood some simple math mantras. Multiplication is putting equal groups together. Division is splitting apart equal groups. 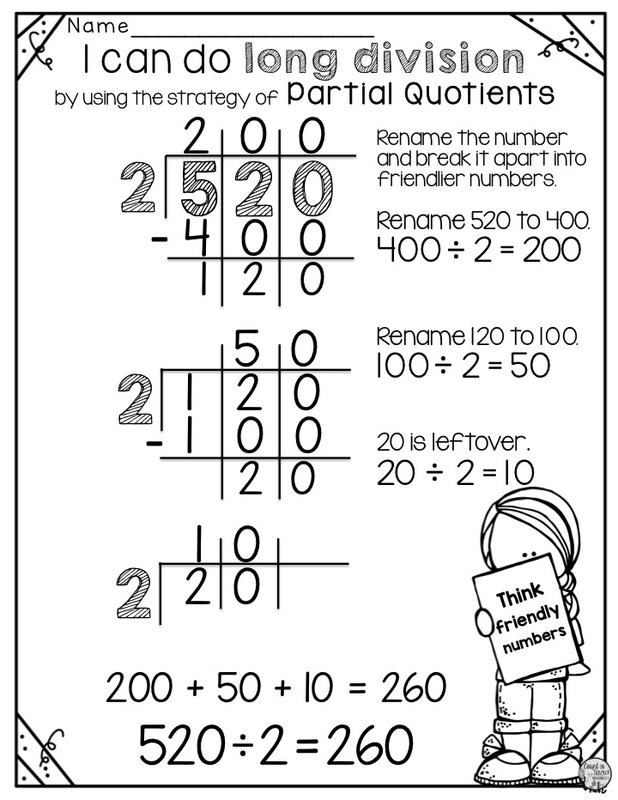 Break numbers apart into smaller numbers and think friendly numbers. For example think MULTIPLES of 10 or 100. Make a Ballpark Estimate before solving a math problem. There are MANY ways to solve a math problem. It is my job as a teacher to show students several different ways to solve a problem, but in the end, the students use which way works best for them because everyone thinks differently. 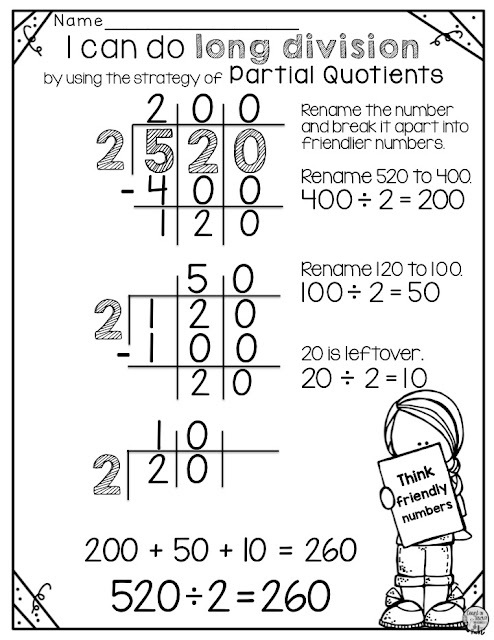 Believe it or not, many of my 4th grade students preferred using this division strategy. 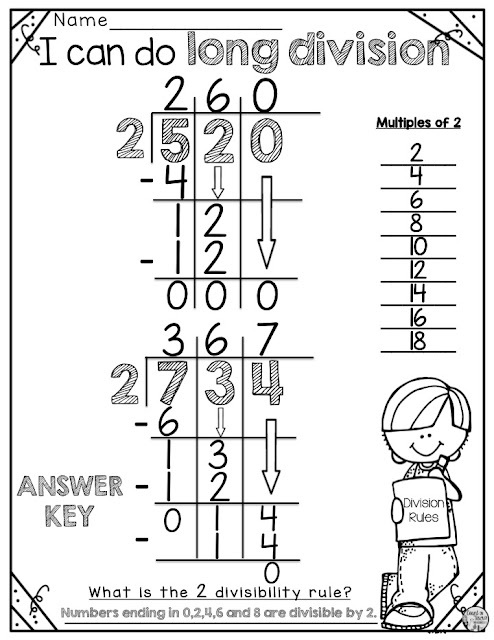 Here is an example using the number 520. This is just one way to break 520 into smaller friendlier numbers. I think the key to using this traditional Mom and Pop Strategy is to present it in a methodical and organized way. 1. 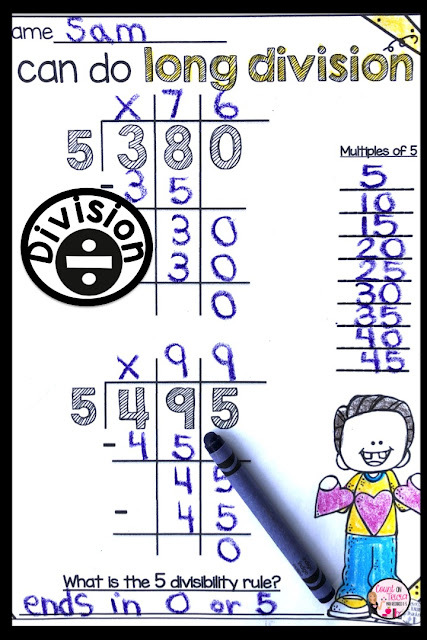 Before beginning a problem, I have students generate the first 9 multiples of the divisor. When I was a kid, I spent a lot of time trying to figure out what multiples were close to the dividend. Generating a list before hand and referencing it throughout the problem will move things quicker. 2. Draw lines between the place values of the dividend. 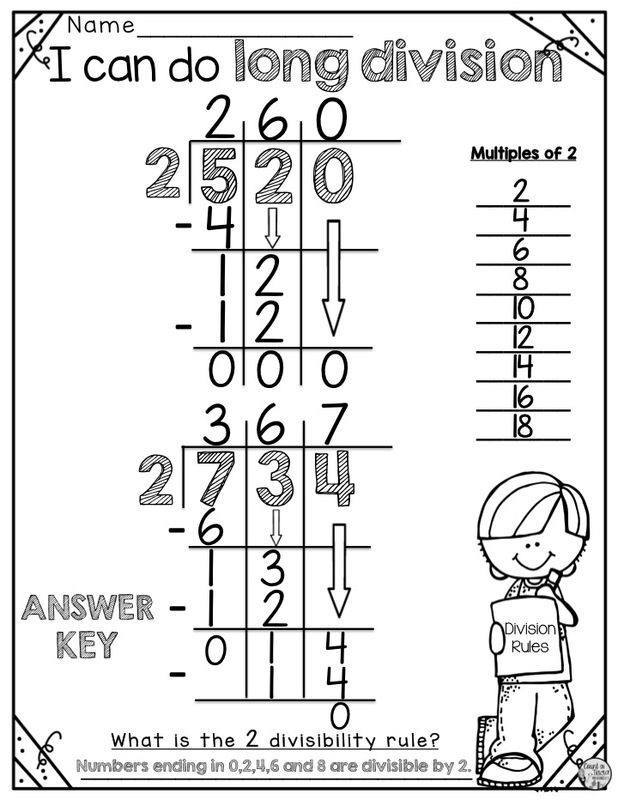 This will help students see each place value and line up the numbers in the quotient correctly. 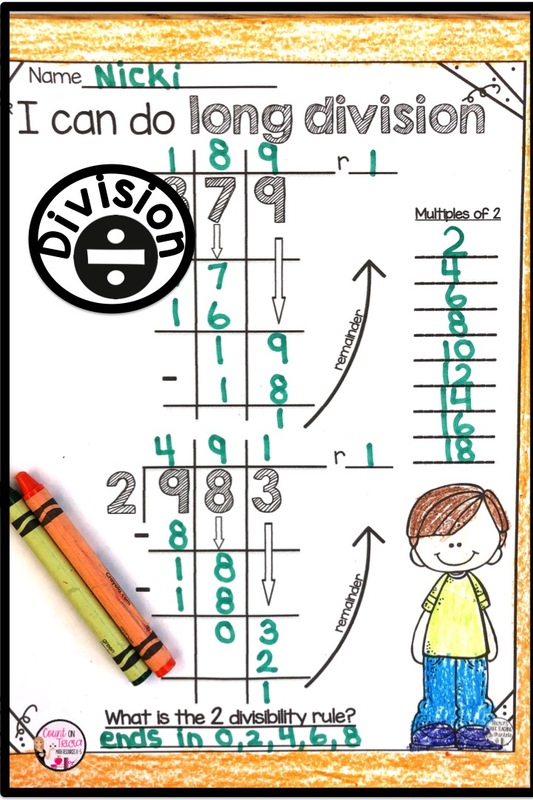 Long division doesn't have to be hard for beginners if numbers are broken into smaller numbers (partial quotients) or using the MOM and POP way in an organized planned way. If you found these long division strategies helpful, check out one of my most popular resources.